Our kids are our world! Back when I myself was a kid, I used to get awed at how much my parents doted me and took care of everything i needed. I would be awed by how much love they showered on me and often prayed that every child in the world have caring parents like mine. Now, when I am myself an adult and a 'Maasi' to a lovely one year old, I realize that children mean the whole world to parents. Their whole life revolves around them. As a child I could never understand that but now that I am myself besotted to a toddler, I can fully understand it! A few years back when my nephew had still not entered this world, I remember how quiet and uneventful my day would go. There would be no one to disturb me, no one to scream and cry to make him buy chocolates, no one to play with and break my precious belongings. Now with my little nephew in the picture, it's a whole different scenario! Now I am so used to him that a day cannot pass with hearing to his sweet little half-formed words, ear-punching wails and enchanting laughter! It wrenches my heart when he gets ill because of some reason. I remember once when he had been ill because of diarrhea, the whole family had gone into depression. The prayers were endless. Only when he fully recovered the painful disease that someone in our house smiled. Seeing his small figure wriggle and cry due to burning fever and loose motions was a very disturbing sight for me. That is the reason why advised my sister to include Dabur Chyawanprash in his routine. Dabur Chyawanprash is a time tested, age old formulation made of herbs like Amla which our famed for their anti-oxidants which help fighting illnesses by three times in children. We are happy only when our children our healthy hence it's important to make sure their immune system is supplied with the right ingredients for it to grow and act well. When I was struck with a nervous disease and was not able to walk properly at the age of sixteen, I remember how worried and unhappy my whole family had been. My parents were so afraid that I won't be able to walk properly again and it was like all the happiness in the world had died. Only when I fully recovered with the help of Ayurvedic care did the air in my house started getting normal. Only then did the smiles, laughter and happiness returned. When my sister was ill due to pneumonia, it was like it was not her who was suffering from that pain but me. Throughout her illness, me and my family went through a tough time. So, my point is, it's impossible for parents to stay happy when their children are ill. Their happiness is interconnected with the health of their children. 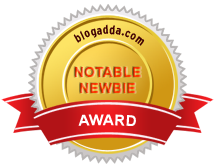 This post is for the #ImmuneIndia campaign by Dabur and Indiblogger. I hope that another article will be available soon.